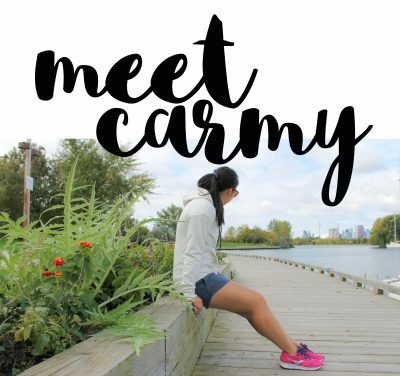 Are you a runner heading to Toronto? 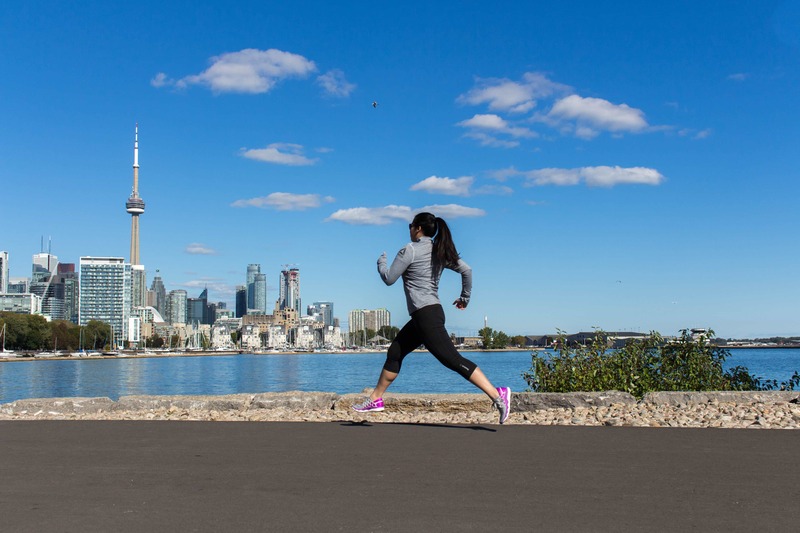 Here are six scenic places to run on your next trip to Toronto! Toronto is one of my favourite cities to run in. There are so many places that you are able to check out on foot or on bike and there is always a running route nearby that you can explore to give you a better feel of the city. 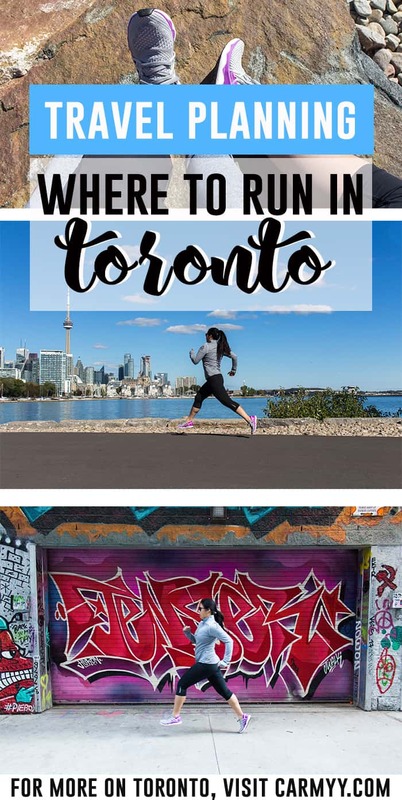 So here’s where to run in Toronto! Down at Lakeshore Blvd East, you have our Toronto Beaches. If you’re staying near the east end of the city, the Beaches is the perfect place to start your morning. 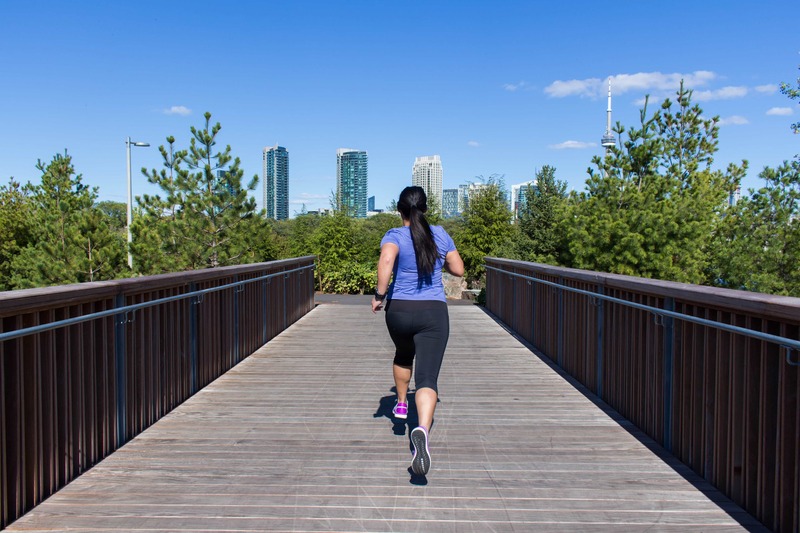 The Beaches has a boardwalk in addition to a multi-use paved trail where you can rollerblade, cycle, or run right by the sand and water! 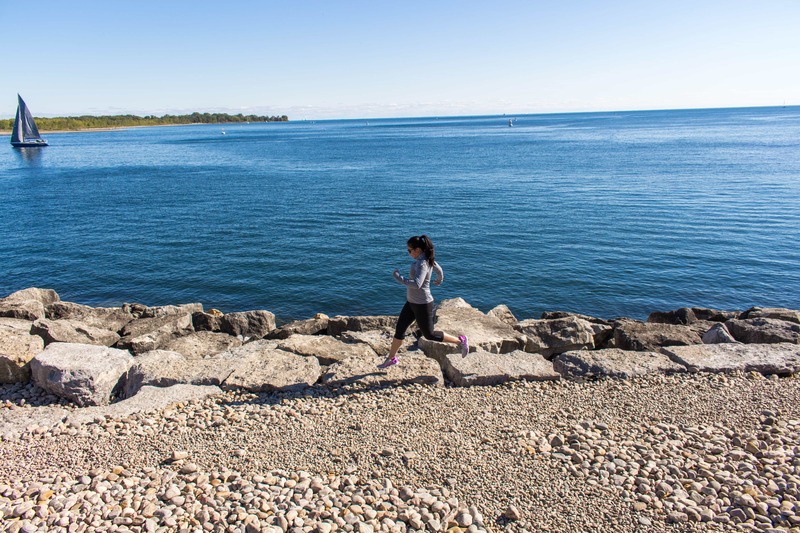 The multi-use trail also leads you towards Ashbridge’s Bay (check out the lighthouse) and Lakeshore Blvd E (that leads you towards Sugar Beach!). The Scarborough Bluffs stretch for about 14km along the Lake Ontario shore, from the Eastern Beaches of Toronto in the west, to West Hill in the east. At their highest over at Cliffside, the bluffs rise 65m above the water! It is quite the spectacular view! There’s parking if needed and there’s even a full sized track at the Brimley parking lot if you want to do some intervals. Want to see some awesome street art? If you’re staying downtown, I’d recommend you spend a few minutes and detour over to graffiti alley and check out the street art and then head north for 1.5K towards Kensington Market, a neighbourhood marked as a National Historic Site of Canada. 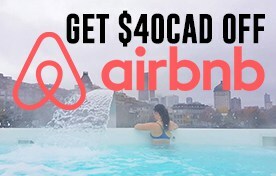 It’s also right by Spadina’s Chinatown! Toronto is an extremely diverse city and on this route, you’ll be able to get a great feel of it. Earlier this year, the Trillium Park and the William G. Davis Trail at Ontario Place officially opened. If you’re running along the Martin Goodman Trail, you can take a left turn into Trillium Park (or park right outside of it!) and enjoy the waterfront views. What used to be a large parking lot, this is now a beautiful public green space. Let’s Chat! What are your favourite cities to run in? 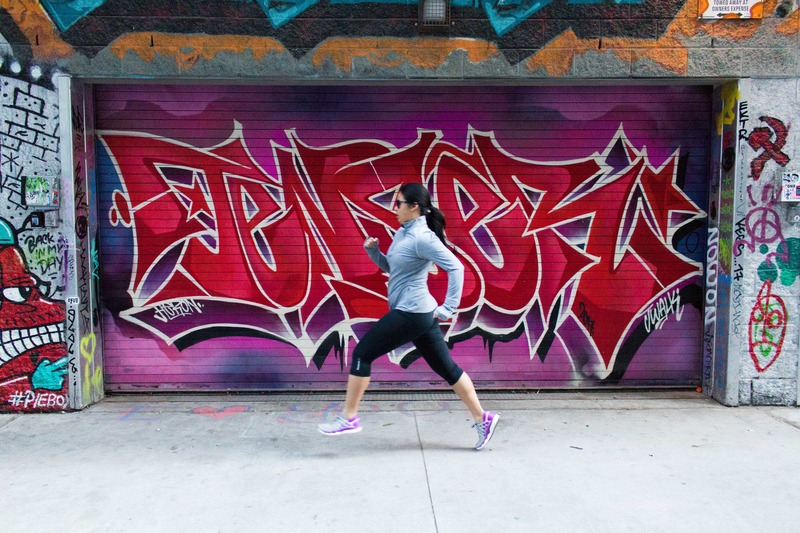 Have you ever ran any of these Toronto routes before? 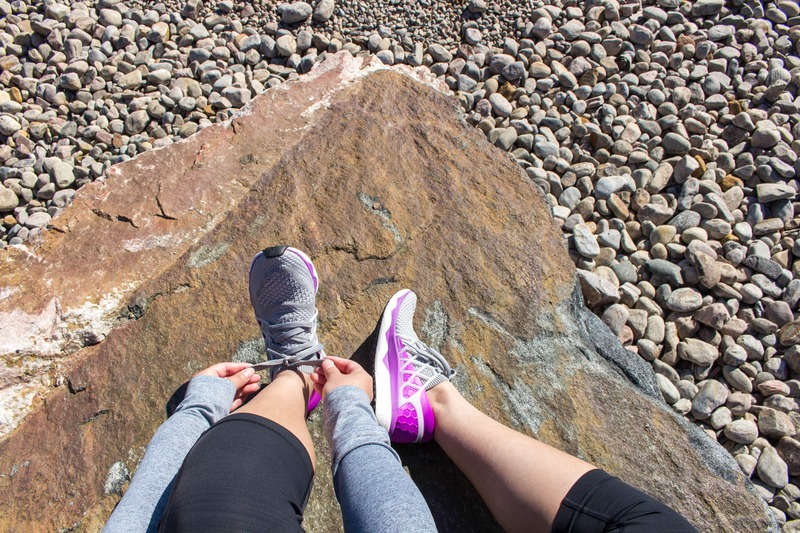 Once again, thank you to Reebok Canada for sponsoring this post and thank you to my readers for supporting the brands who support me to make this blog possible! These are all awesome routes! 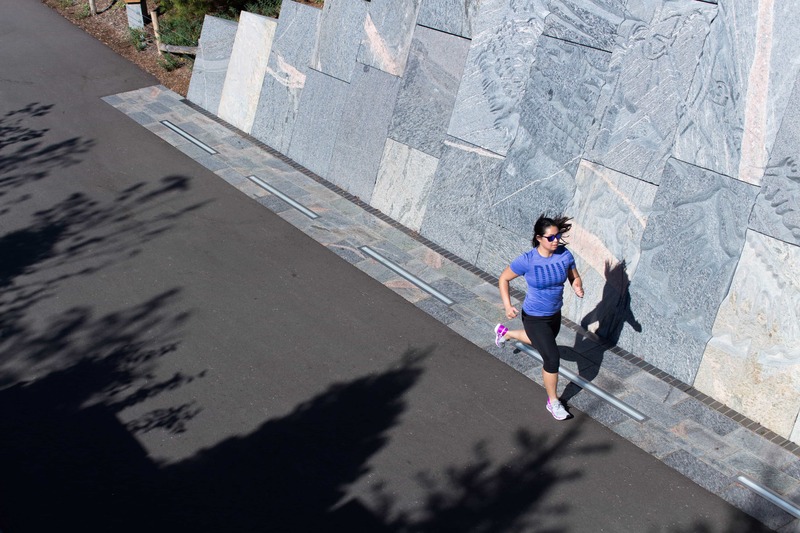 Aside from running, they’re also great routes to take a casual stroll in! Love that graffiti pic!! The colours are amazing! I also love the new Floatride colours–have you seen the solid white and black ones?! Such a great way to explore a new city! Thanks for sharing this! 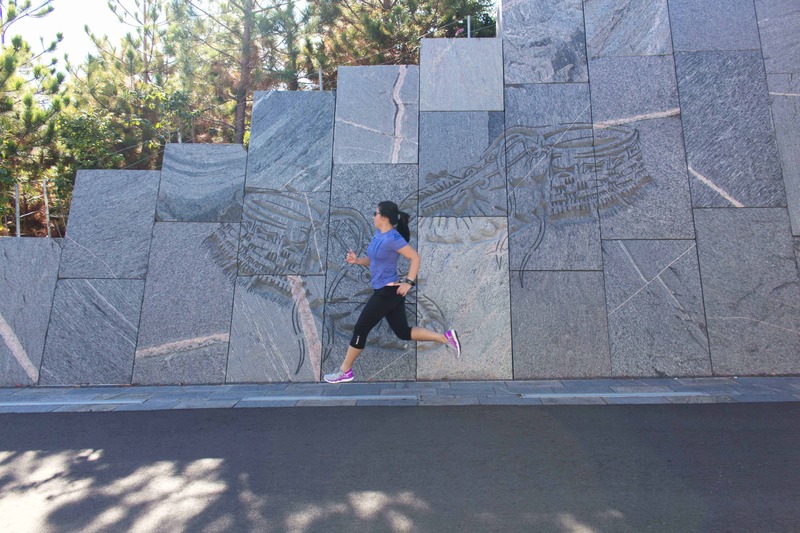 I have to ask – how do you capture these awesome photos of you running??? This is a lovely post – I’d like to visit Toronto some day. Graffiti alley would probably distract me! I’d want to take pictures of all of them! lol! I love your shoes! 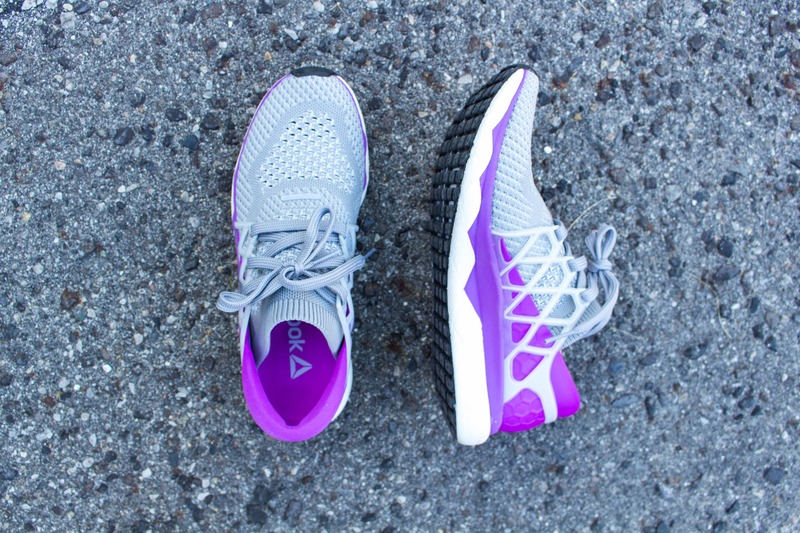 They are cute, and it’s so awesome that they are also really supportive for runners!